The Alabama COC board position of Chaplain and the Director of the Alabama COC Christian Unity program have been combined. The Alabama Motorcycle Outreach is pretty unique in the motorcycle world. It gives Christian MM's and clubs an opportunity to provide the MC's and RC's with a valuable resource in times of need. The framework of this outreach is well established. Thanks to all the folks that did all the hard work to get this outreach into place. It took a lot of vision to bring this about. I have been able to attend the NCOM convention and was impressed with the Christian Unity arm of NCOM. In particular, the Motorcycle Resource Team concept. We all know that accountability and credibility are cornerstones within the MC world. I have been in contact with the NCOM Christian unity liaison and he sent me the necessary materials to move the current Alabama Motorcycle Outreach from where it currently is, into a better functioning part of the ALCOC. Accountable and credible, to all of the members of the ALCOC. I am and will post updates through the web page and the COC Facebook page. It is my honor to serve as the Chaplain of the ALCOC and Director of the Alabama Motorcycle Outreach. I am available by phone..205-937-2081. If you need it and I can't do it...I will find someone who can. This updated letter is to inform you of ALCOC's Alabama Motorcycle Outreach. Following the June 2011 COC meeting in Enterprise, I was greatly encouraged by the desire of the Christian clubs and ministries within ALCOC to participate in this joint endeavor. We have worked together for these past months seeking to get the outreach off the ground, and I believe we've made a decent start. This initial communication is intended to supply you with some basic information about the outreach, formerly called a "strategic alliance". "A strategic alliance is when two or more groups or businesses join together for a project or set period of time. They are usually not in direct competition, but have similar products and/or services that are directed toward the same group and/or target audience. Alliance means "cooperation between groups that produces better results than can be gained from a process or transaction." "...it's all about uniting the Motorcycle Ministries, Sobriety Groups, other riding groups or clubs to be available to help brothers and sisters in the OCOC...it's an alliance that serves as a vehicle to serve in the field what your group has set out to do...."
"To gather every Oklahoma MM and/or other related service groups together in order to form an alliance representing greater unity and communication between groups. Although separate in nature our vision is much the same...To help identify services that we as a whole (can) provide to the riding community." 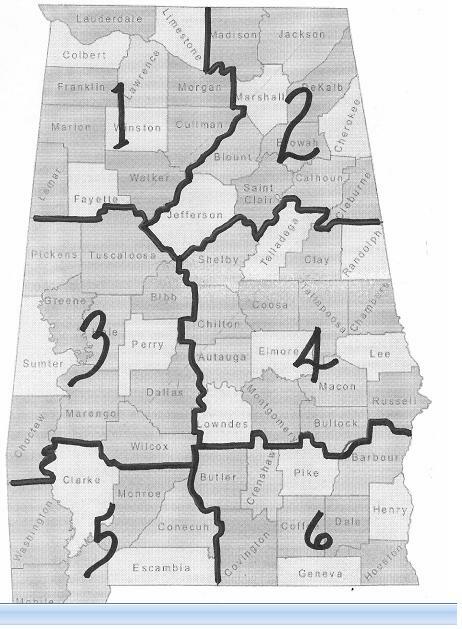 In view of the autonomy of each state's Confederation of Clubs, it has been decided that our joining together to provide services and ministries in Alabama will be known as the Alabama Motorcycle Outreach, as opposed to copying or blueprinting the name used elsewhere. ALCOC's Alabama Motorcycle Outreach also wants to provide the MC's in Alabama with services and ministries that meet real needs! We do so as "brothers" within the motorcycle community, but the true impetus for this ministry is our love of Jesus. He has instructed His followers to live out their faith daily - thus, we want to present a viable and practical witness of God's love and power to our fellow bikers. Hey, our joy is giving a "helping hand" in the Name of Jesus! Let me encourage you to do a couple of things: first, take a look at the ministries offered by the outreach. Then, get together with your club and identify any legitimate needs our outreach can meet. Our services range from counseling to hospital, jail, and prison visitation, to Bible studies, to weddings and funerals, to prayer..to.....well, check them all out (Hey, the common thread in each is that they're all designed to help you out when the need -whatever need it is - arises). Guys (and Gals), let me know if you have any questions and don't hesitate to contact an outreach affiliate.